The Catholic Bishops ‘Conference of India joins millions of our fellow Indians who cutting across religions and regions, traversing cultural and geographical boundaries celebrate Deepavali,or Diwali the festival of lights. Diwali symbolizes the victory of light over darkness, good over evil and knowledge over ignorance. Towns and country sides will be decorated with colorful lively lamps (diyas) and rangolies (colour patterns). Amidst the joys and sounds of the celebration, Diwali continues to evoke deep spiritual meanings for us individually, for our country and for our world today. In the celebration of Diwali, wealth is celebrated as a gift of the divine. Therefore, wealth and riches also are to be seen as opportunities to do good and to contribute to the welfare of fellow human beings. The exchange of gifts is not simply a material gesture but a manifestation of affection, love and relationships. 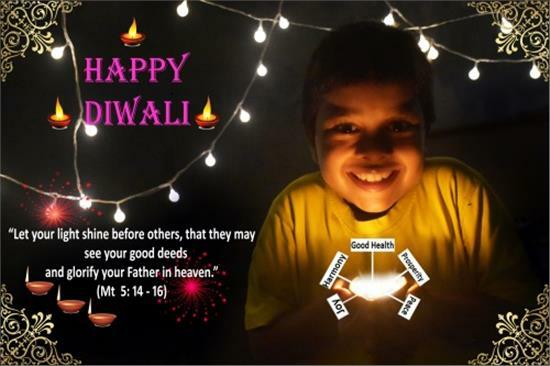 But above all the lights of Diwali mark the immense reality that light will finally triumph over darkness, love will overcome hatred and righteousness will banish evil. As Mahatma Gandhi told us, “If light can come out of darkness, then alone can love emerge from hatred”. As we celebrate this great Indian Festival, we pray for our country, our leaders and our people. May God bless us with prosperity, tranquility, peace and harmony.